MCR supports young people in or on the edges of the care system. We believe a young person’s circumstances should not be allowed to affect their life chances. Can I become a mentor even if I don’t have experience with young people? Absolutely. Our mentors come from all walks of life, many with no previous experience of working with young people. What our mentors have in common is not their experience but their shared desire to be a supportive adult who takes an interest in the life and education of a young person. My schedule can change, I don’t know if I can fit mentoring in? Mentors can outline their availability during their 1-to-1 with MCR staff. You and your young person also don’t need to meet at the same time each week. 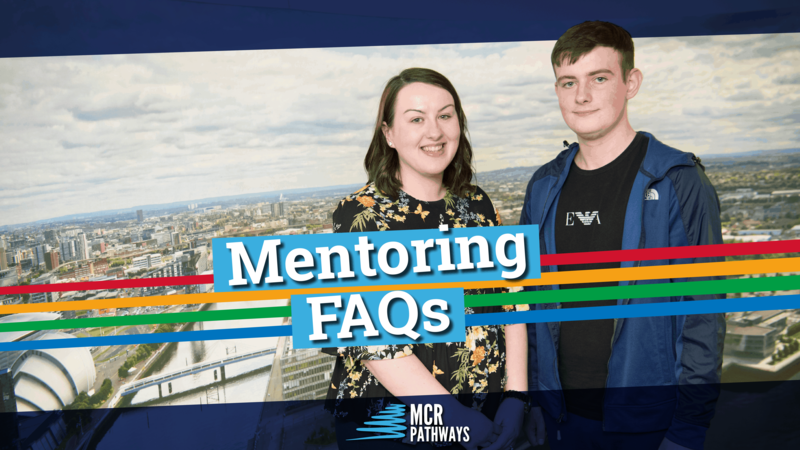 Your school’s Pathways Coordinator can help confirm appointments that suit the mentor and their young person’s timetable. What if I don’t know what to talk about with my young person? We provide full training with tips, resources and suggestions which encourage relationship building. Each school also has a Pathways Coordinator who is on hand to help. Our profiling system is highly effective at ensuring mentors are well matched to a young person with common interests and personality traits. What do I do if they tell me sensitive information? A mentor is not there as a counsellor or a social worker. If you are uncomfortable with something your young person has shared with you you should alert the school’s Child Protection Officer which will be fully outlined during your mentor training. I’d like to mentor, what school can I choose? Our mentoring program operates in various schools in different Local Authorities. More information about each Local Authority can be found on each of their respective pages. I haven’t gone to college or Uni, can I still mentor? You don’t need any qualifications to get involved. A mentor is simply someone who can offer encouragement, share knowledge and life experiences and help a young person to realise their full potential. What measures are in place to protect the young people? All MCR staff, volunteers and mentors are fully PVG checked as part of their application process. The Protecting Vulnerable Groups (PVG) membership scheme is managed and delivered by Disclosure Scotland. It helps makes sure people are suitable to work with children and/or protected adults. Motivation, Commitment and Resilence – the three qualities we believe are most important to cultivate in our young people.